Step 1 In a large saucepan over medium heat, heat the oil. Stir in the garlic, oregano, onion, vinegar, bell pepper, tomatoes (and their juice), chiles and broth. Increase the heat and bring to a boil. Cook for 2 minutes, then stir in the black pepper, bay leaves and salt to taste. Step 2 Reduce the heat to a gentle simmer and continue to cook, stirring frequently, until the vegetables have softened and the tomatoes start to break apart, about 25 minutes. In Recipes-list.com we have selected the most viewed recipes from category - Breakfasts Main courses . Enjoy the best recipes specially selected for you! 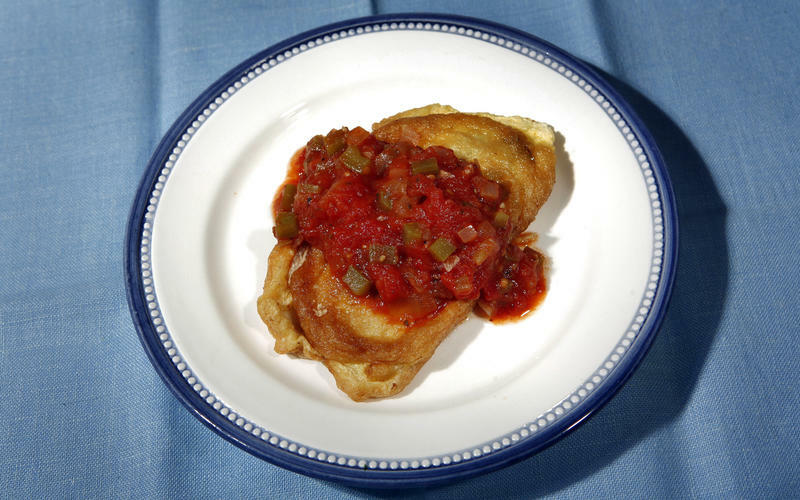 El Cholo's chiles rellenos is the right choice that will satisfy all your claims.